If you’ve found your way onto the blog, chances are likely you’re decently familiar with this company. If nothing else, you’re aware that Cured Nutrition is quickly ascending into the competitively sought-after role as the leading cannabidiol (CBD) company in the world of physical fitness and integrative wellness. The pristine quality toted in each of the organically grown, hemp-infused nutritional products catches nearly every eye (and heart). After all, here you are reading the company’s story. With that, welcome – the collective is strong. Look no further than the ‘ABOUT’ page to discover the inarguable allure of Cured Nutrition’s business model. The company is founded on a desire to introduce an innovative approach to alternative medicine and natural supplementation. It uses its platform to educate its consumers – and the world at large – on why both hemp and cannabis should be integral additions to any health and wellness regimen. 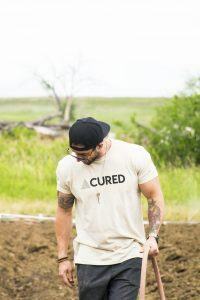 With the wide array of benefits finally being brought to light with countless research studies and intervention models, Cured Nutrition has successfully developed ways for both the new and more experienced hemp connoisseurs to reap transformational rewards. What many have yet to realize, though, is the estimable process through which this farm-to-table company has risen to the top. As 2018 swiftly rounds the corner and Cured Nutrition nears its 1-year anniversary, it has proudly transitioned into a fully vertically-integrated business with its own farm. With such a model, the possibility of untraced and foreign material contaminating the products is eliminated. Cured Nutrition not only abides by but truly celebrates the coined term, “Colorado Made,” as it consistently follows the regulations effected by the Marijuana Enforcement Division. Although this isn’t required for hemp-derived supplementation, the company nevertheless chooses to do so in hopes of providing only the best products through homogeneity, purity, pesticide, and residual solvent testing. No matter how minor or major, not one single detail is overlooked. The spices, tinctures, and treats (for humans and furry friends) speak to this with unmatched ease. Meet The Dreamer’s And The Doer’s. As remarkable as all of this is, the faces behind the company’s success deserve more recognition than they have yet to receive. The CEO, Joseph Sheehey, isn’t the sole contributor to the brilliancy of Cured Nutrition’s mission – though without his astounding intellect, unshakable grit, and profound desire to change the industry, Cured Nutrition simply wouldn’t exist. With that said, the true beauty of this company rests on the presence of these qualities in cofounder and Chief Technology Officer, Taylor O’Donnel; as well as within each of Cured Nutrition’s team members. What started as nothing but a nascent possibility has pivoted, shifted, and evolved through countless trials and tribulations – through which Joseph, Taylor, and Gena Sheehey (Joseph’s incredibly supportive and resourceful mother) have unwaveringly pressed on. With a group of the brightest minds mirroring each other’s fiery passion, the Cured team has cultivated a thriving work environment, complete with a carefully scrutinized chain of production, a steady flow of vibrant ideas for expansion, and weekly yoga dates. A hurried pop into their office is all it takes to fully understand the magnitude of palpable energy buzzing through the air. Why Cured Nutrition, and why now? As organically as this team has fallen into a cannabidiol-laced rhythm, this hasn’t always been the daily routine. Prior to the conception of their budding business, Joseph and Taylor were just a couple of buddies who had met years prior in college – each one working within their own arena of stringent engineering corporations. After spending countless nights pouring their time and energy into building someone else’s dream, these two were awakened with a shared realization that something was missing from their lives: a sense of purpose. It didn’t take long for these dreamers to quit their day jobs and re-commit themselves to nurturing their own aspirations, which just so happened to involve fields of Colorado-grown hemp and the tastiest spices now gracing your kitchen pantries. Though, to say this shift was easy would be a reckless misrepresentation, as one can only imagine the hardships accompanying a retreat from financial (and social) security into the murky workings of CBD manufacturing. The nature of the cannabis industry creates a uniquely challenging dynamic; and as so, what has transpired over this first year of business would have undoubtedly caused many an entrepreneur to throw in the towel. Nevertheless, the team dedicated themselves to their mission of improving lives, dismantling the stigmatization of alternative medicine, and taking admirably progressive steps no matter what cost. With Gena’s untiring help, Joseph and Taylor employed their adept problem-solving skills, amassed and refined through years of engineering, to rise above whatever obstacles were thrown in their path. United in love and newfound resolve, Cured Nutrition is a testament to boundless possibility. Through the months of blood, sweat, and tears, their steadfast belief carried them here to this place of unparalleled growth and noteworthy achievement; and still, it’s only the beginning. Their Promise To Each Other, And To You. 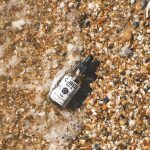 Strong in its intention to transform the current market and supply superior quality, the dreamers and creators of Cured Nutrition have found a way to create an intimate experience for each of their consumers. Rather than an impersonal drive for profit, Cured welcomes with open arms both firsthand and longstanding customers into their family. With their inclusive line of products, the team promises to elevate your life and your experience to formerly untapped levels; and notably, with nearly zero adverse reactions. 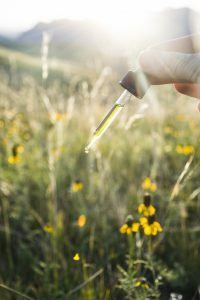 What Cured has worked tirelessly to demonstrate is the simple fact that when compared to the standard treatments for many common physical ailments, CBD boasts a considerably better side effect profile. 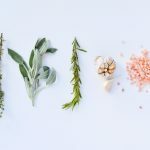 Whether you’ve stumbled upon Cured Nutrition for medicinal or recreational use, there’s a comprehensive range of benefits personalized to your unique needs. As seen on innumerable social media platforms, this company has become a staple among athletes and laypeople alike. With CBD effectively functioning as a sleep, calming, pain, and anti-inflammatory aid, this certainly doesn’t come as a surprise. Although, let it be known that this list is short in comparison to the true catalogue of healing properties that will be explored in later articles. If you have yet to dive in, allow this to be your beckoning call into the world of Cured Nutrition. With the boldest hearts and sagest minds on your side – and most trustworthy products – it’s time to discover what hemp can do for your own vitality. How can you rethink your approach?